One of the wonderful things about Memphis is that each object has its own distinct personality, like characters in an animated film. 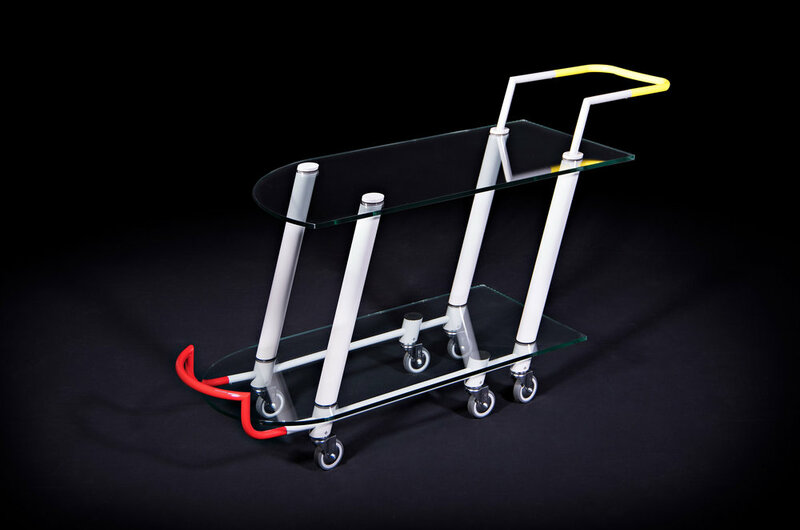 The Hilton trolley is by Javier Mariscal, a Spanish artist who was indeed mostly known for his work as a cartoonist prior to his work with Memphis. It leans forward slightly, as if eager to reach its destination.